Choices fly at us everyday like pitches in an MLB game. They’re fast, some furious, and others curve and take us outside of our comfort zone. When we were kids, picking out one piece of candy amongst the hundreds of choices that laced the shelves at the local gas station was the big choice of the day. Now, not so much. Greater consequences are constantly up for negotiation. Adults make about 35,000 decisions a day and you might want to double that if you’re a parent. When you’ve got so many decisions to make it can lead to decision fatigue, avoidance and indecision in no time. And we all know purpose and prosperity do no hang out in decision purgatory. 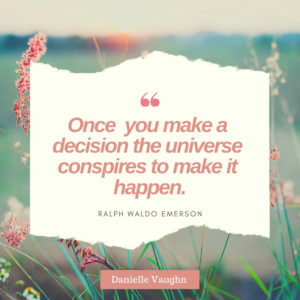 Since you can’t have enough decision making tools in your toolbox, here’s three more (plus a free guided meditation) that will get you off the fence and moving forward in the direction that’s best for you. Your body holds the knowledge of your divine self – the part of you that knows and is connected to and in service of your highest good. Your wisdom works through your body with this exercise. How to do it: With a partner, stand tall facing away from your partner. Stretch your arms out to each side and ask your partner to press your arms down (with reasonable force) as you ask your burning question. For example: “Is this new job offer in my highest interest?” If your arms go down easily your body is telling you no. If your arms are strong and more difficult to be pushed down, then your body is telling you yes – take the job! This may seem trivial, but it isn’t! The muscles of your body will react to the question based on your innermost truth. Your mind can’t get in they way with this exercise. Grab your journal and write the question out and answer it going both ways (or how ever many solutions you have available). Imagine it’s been done. Imagine your future with the outcome and feel what it feels like. Notice which one resonates with you more. You will be naturally drawn to one over the other. Take your time with this one, it’s worth it. Your most aligned and truthful answers come from your soul. Meditation gives you the space to clear your mind and hear the whispers of your soul. Create a sacred meeting place with your soul. Find a place in your home where you can disconnect from your day-to-day life. Give yourself a few minutes of time that is designated only for this purpose. I choose to meditate in the same place every day (when I’m not traveling of course) and at roughly the same time. Set a timer for 10-20 minutes (less if you need to) and focus on your breath. Listen to soft music, a fountain, focus on a mantra or affirmation you repeat in your mind over and over, or listen to a guided meditation. Claim time for yourself everyday. Your wisdom becomes clear and available when you are open to receiving it. Guidance can’t reach you when you are stressed and frazzled or on auto-pilot. Meditation and breathing with intention sends the signal to your body that you are safe and available to receive. However big or small the decisions you are facing are, know they are there because you are ready for them. It sounds cliché, but it’s true. This truth can be the fuel you need to face the decisions you need to make. And remember, only you know what’s best for you. Your job is to make sure you have a clear connection to your higher self. 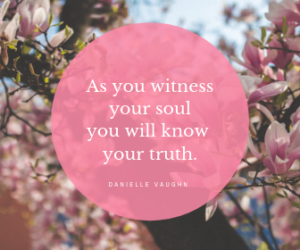 As you witness your soul you will know your truth. 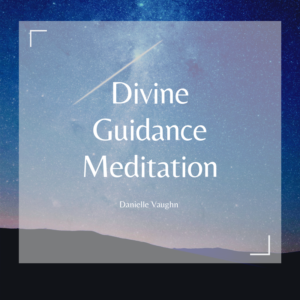 PS Dig the guided meditations? Join me over on SoundCloud for more awesome (and free) meditations. Check it out here.